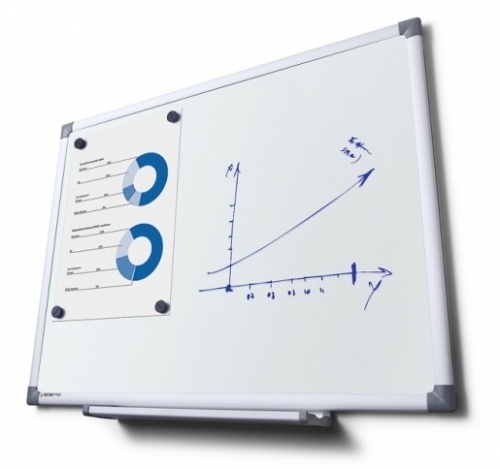 The Script is a basic but tough VITREOUS Enamel Drywipe Whiteboard with a super smooth long lasting whiteboard surface finish. 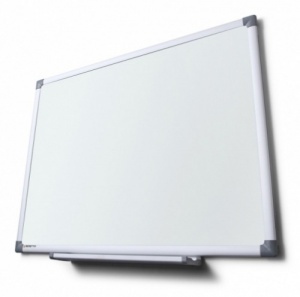 The Script has a quality enamel coated steel surface which is suitable for magnets and marker pens. 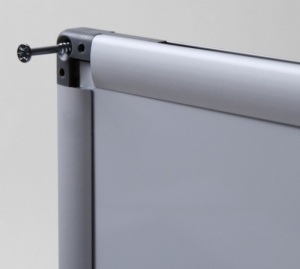 With its satin silver anodised aluminium frame the Script is supplied complete with a handy clip on pen tray. 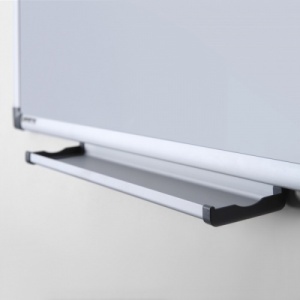 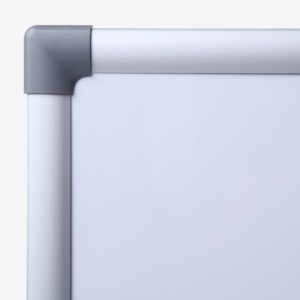 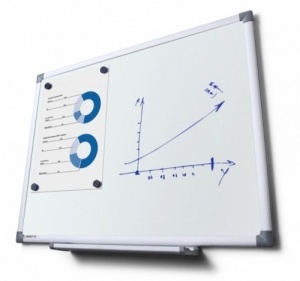 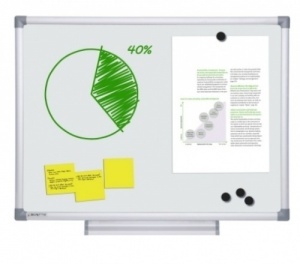 With its standard frame and concealed corner fixings the Script Drywipe Whiteboard can be mounted in either landscape or portrait orientation.